The internet has undergone a significant amount of change and evolution since its inception. One of the biggest driving forces in this evolution has been the increased availability of the necessary tools and know-how to build websites. Now that just about anyone who wants to can start their own website or blog, they have sprung up to cater to every conceivable niche and obscure interest. Most people would consider this to be a good thing, but whatever your particular niche, interest, or target audience, you will be competing against numerous other websites that are trying to reach the same people. In order to stand out from the rest of the crowd, you will need to focus on the design of your website. Websites that are poorly designed, difficult to navigate and lacking in original content will struggle to pull in traffic and maintain regular visitor numbers. Here are some simple steps that you can take in order to ensure that your website is as appealing and user-friendly as possible. No matter what kind of content you have on your website, any visitors will need to be able to work out how to navigate their way around it. If the user interface for your website is not clear and simple then visitors will be wasting time trying to work out what should be immediately obvious. That’s if they stick around long enough of course, a lot of people who come across a website that they find difficult to navigate will simply click away and move on. The key to designing an effective interface is to rigorously test it. It is natural that as part of the process of designing, and subsequently refining a website, that different elements will go through a number of iterations before you settle on a final design. This can mean that after a while a kind of tunnel vision sets in and you find it harder to objectively analyze the value of certain ideas. 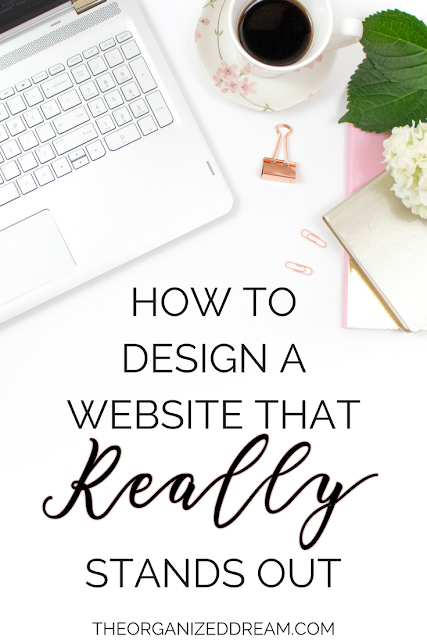 Because of this it is a good idea to get someone else to try out your website and see how easily they manage the navigation and other elements without having to be guided by you. Just because your website happens to be just one of millions dedicated to a particular subject or interest, doesn’t mean it can’t stand out among the rest. The articles and other content on your website can be unique even if the subject matter itself is not. You can also try and make your website stand out because of its unique aesthetic design. Have a look at the Smashing Tops website for an example of a website with a unique layout that is still easy to navigate for the viewer. The internet is much like the universe, it is seemingly infinite in size and is continually expanding. With more websites springing up every day, competition is fierce. By putting the extra time and effort into your website design you will be able to produce a website that stands out.